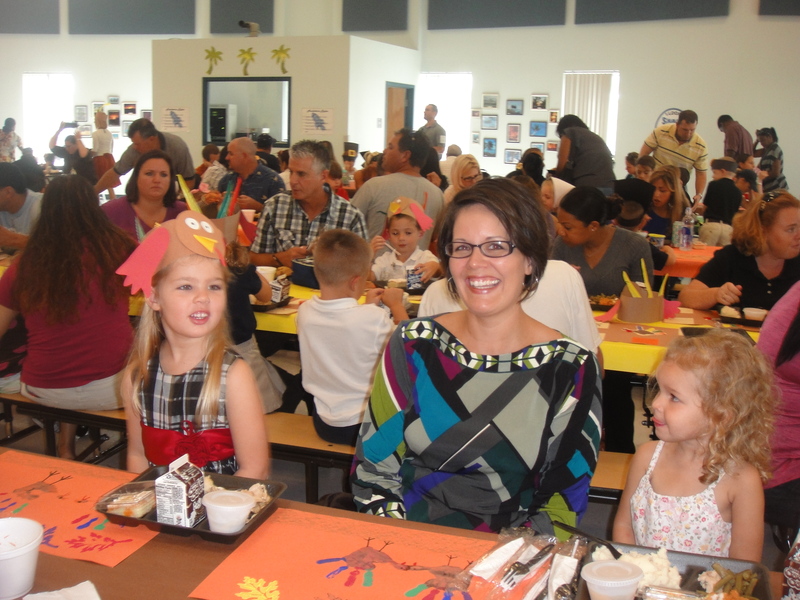 Kindergarten students at Palm Pointe Educational Research School @ Tradition enjoyed a Thanksgiving feast prepared with all the fixings by the cafeteria staff. The food was delicious and the students and guests had a great time. Pictured, from left, are kindergartner Maya Wright, her Mom and her younger student as they enjoy their feast! The National Junior Honor Society at Southport Middle School is helping the PTO assemble food baskets for the holidays for some Southport families. Pictured, from left, are Sarah Welker, Kaylee Tolliver, Lucia Cabanela This is another way that students are learning to care for the needs of the community and make a positive impact when ever possible. 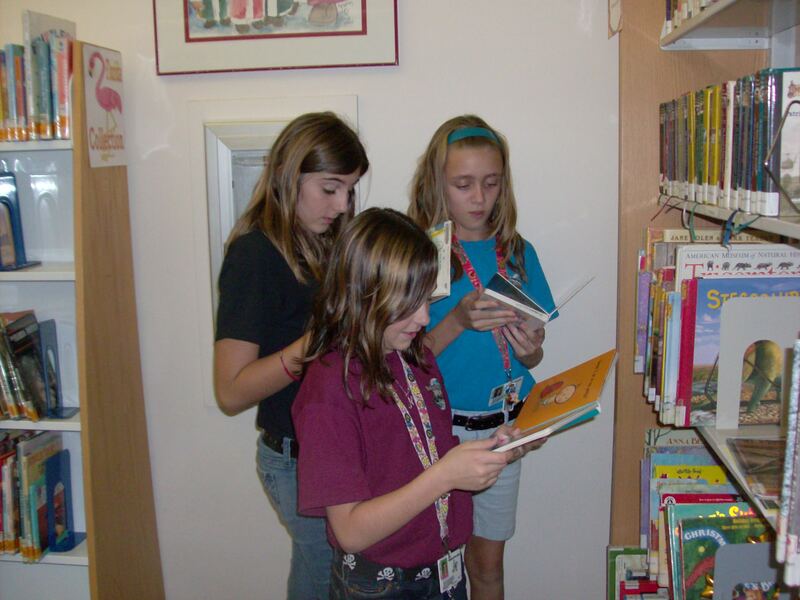 A new group of Book Buddies and Beyond students from Southport Middle search for great books at the Morningside public library to read to the eagerly awaiting kindergartners in Amy Spurr’s classroom at Morningside Elementary. 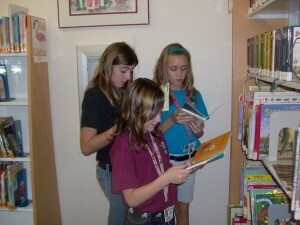 Pictured from right, are Jade Groth and Megan Edmunds, Nicole Hastings.